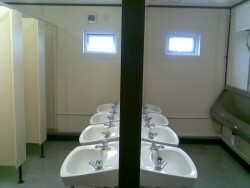 Building site cabin cleaning, welfare facility cleaning to builders, construction companies and organising cleaning for site welfare.The law says that clients and contractors have responsibilities regarding welfare facilities on construction projects. 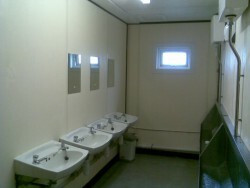 Contractors provide welfare facilities and clients must ensure this happens. The pre-construction information prepared by the client should include the arrangements for welfare provision. On notifiable projects (longer than 30 days or 500 person days), the client must ensure the construction phase does not start unless they are satisfied that there are arrangements for welfare facilities to be provided. 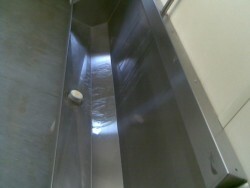 Simply Cleaning will maintain the facilities throughout the life of the project. 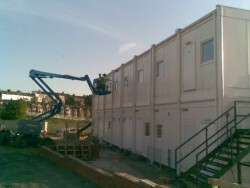 We provide building site cabin cleaning, specialising in the daily welfare cleaning of construction site offices and welfare facilities. Throughout the lifetime of your build our experienced SSSTS and CSCS trained operatives will cover all cleaning aspects of site welfare accommodation. 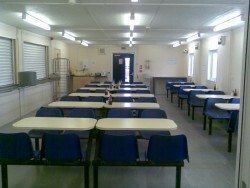 We can provide cleans of kitchens, canteens, washrooms, locker rooms and office space. We can also provide builders cleans, final cleans and sparkle cleans for your new build or refurbishment projection. Simply Cleaning will work with you to ensure so far as is reasonably practicable, sanitary conveniences and the rooms containing them shall be kept in a clean and orderly condition. Separate rooms containing sanitary conveniences shall be provided for men and women, except where and so far as each convenience is in a separate room, the door of which is capable of being secured from the inside. Suitable and sufficient washing facilities, including showers if required by the nature of the work or for health reasons, shall so far as is reasonably practicable be provided or made available at readily accessible places. (a)in the immediate vicinity of every sanitary convenience, whether or not provided elsewhere; and (b)in the vicinity of any changing rooms required whether or not provided elsewhere. (a)a supply of clean hot and cold, or warm, water (which shall be running water so far as is reasonably practicable); (b)soap or other suitable means of cleaning; and (c)towels or other suitable means of drying. The above shall not apply to facilities which are provided for washing hands, forearms and face only. (b)he cannot, for reasons of health or propriety, be expected to change elsewhere, being separate rooms for, or separate use of rooms by, men and women where necessary for reasons of propriety. (b)include, where necessary, facilities to enable a person to dry any such special clothing and his own clothing and personal effects. 15. 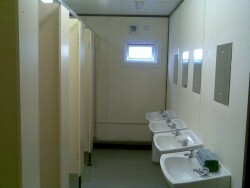 (1) Suitable and sufficient rest rooms or rest areas shall be provided or made available at readily accessible places. (e)include the means for boiling water; and be maintained at an appropriate temperature. 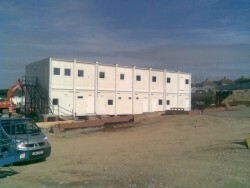 Simply Cleaning support contractors in their daily building site cabin cleaning requirements. We work with regional and national contractors. We have the knowledge and experience to efficiently manage your daily building site cabin cleaning requirements, whatever the scale of your building project. A clean working environment for staff and subcontractors is important and a must in order to comply with Health & Safety Executive guidelines. The guidelines require that you ensure ‘the cleaning and maintenance of the welfare facilities’, Simply Cleaning will provide you with professional consultation and a reliable cleaning service for any size of facility. Call Simply Cleaning we offer competitive site cabin cleaning and welfare cleaning facilities service that will ensure a safe, clean working environment throughout the duration of your project, from daily welfare services to a weekly welfare cleaning service.